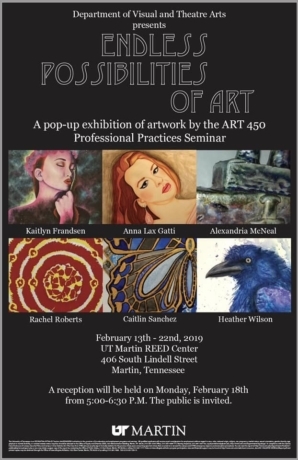 The Department of Visual and Theatre Arts at the University of Tennessee at Martin presents Endless Possibilities of Art. 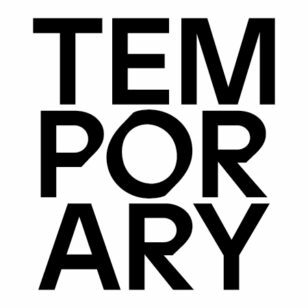 Please join our Art 450 Professional Practices Seminar class at our reception on Monday, February 18th from 5:00 p.m. to 6:30 p.m.
Each artist has 2-3 works in the exhibition. The artists include: Kaitlyn Frandsen, Anna Lax Gatti, Alexandria McNeal, Rachel Roberts, Caitlin Sanchez, and Heather Wilson. The exhibition will be open from February 13th to February 22nd 2019.